It’s been quite a year for me, with plenty of highlights. After a grisly January, when I succumbed to a debilitating virus, a trip to Seattle for Left Coast Crime proved hugely restorative. The recovery process was completed when I journeyed to Phoenix to celebrate the publication of The Arsenic Labyrinth with my publishers at Poisoned Pen Press, Rob Rosenwald and Barbara Peters. I stayed with Rob and Barbara while I was in Arizona and they were wonderfully hospitable. I did a number of gigs with others during the year, but perhaps my most remarkable companion was Sandi Ault, at the Poisoned Pen book store, who brought along a wolf to keep the audience in check. It worked a treat. Sandi was a delight to meet and I was very respectful of the wolf. Having attended quite a few lectures at Oxford in my time, at last I gave lectures there for the first time, to a group of American crime fans, on the subjects of Golden Age detective fiction, and Oxford in detective stories. For a talk to another group of American fans at the Majestic Hotel in Harrogate, I joined up with fellow Murder Squaddies Ann Cleeves and Stuart Pawson; it ws great fun. So, in a different way, was the very well-organised Cheshire WI literary lunch at which I was guest speaker. I did an interview for Legal TV (now sadly defunct – I don’t think it’s all my fault, although if you look at the interview on my website, you may well wonder) and for various radio shows. I shall, however, draw a veil over the bizarre event I did with three notable crime writers, where not a single member of the public turned up. Just as well I wasn’t on my own – I could have become seriously paranoid about the lack of interest. But at least the company of the fellow writers was good. If more exclusive than any of us had expected. I did more Victorian murder mystery events than ever before; word seems to be getting around and one of these days I will fulfil my promise to write another event, perhaps set in the 20s or 30s. There are photos on my website from some of the events; the brilliant set designed by Alison Morgan of the Dudson Museum at Hanley sticks out in my mind. 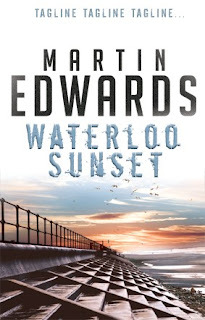 Between all these activities, publishing the fourth edition of the Equal Opportunities Handbook, and the day job, I just about managed to finish Waterloo Sunset and I’m much looking forward to its appearance in 2008. Jonathan did great work on the website, and also in setting up this blog, while Catherine helped at a number of the Victorian events and Helena coped with my various crises with her usual calm. Every writer needs a supportive family, and I know I’m fortunate with mine. And every writer also needs loyal readers and friends. Again, I’m lucky there. So my final words of 2007 are simply these - thank you. As I mentioned the other day, reading a classic detective story has something in common with playing a game – although I would argue that the best traditional mysteries offer a lot more besides - and guessing whodunit is part of the experience as far as I’m concerned. I’ve just finished A Game of Murder by Francis Durbridge, a light thriller by one of the most convoluted plotters of them all. I have memories (very vague ones at this distance of time) of the tv serial of which this is a novelisation. The book was published in 1975, nine years after the tv series. On checking, I found that the latter starred Gerald Harper, better known to tv viewers of my generation as Adam Adamant, and Conrad Phillips, who was never off the small screen in the early to mid 60s. When it comes to skill at characterisation, Durbridge is scarcely Reg Hill or Minette Walters, but he is good at pulling the wool over the reader’s eyes. One of his main techniques is the relentless unfolding of surprise after surprise, so it's not easy to keep up. In this case, he managed to fool me, and I’m rather pleased he did. Guessing whodunit too easily is a bit of a let-down, and it is something that occasionally disappoints me about otherwise excellent mystery novels. Not so long ago I read a novel where I guessed the outcome 150 pages before the end (admittedly it was a very long book) and although I admired the writing, and wanted to know what happened to the people in the story, I felt that a detective novel of such length needed a bit more mystery, or at least one or two more credible suspects. Getting the balance between plot, setting and characterisation just right is an enormous challenge for any crime writer - and of course, opinions vary as to what matters most (for me, all three elements are important.) You seldom care much about Durbridge's characters (just as well, since they tend to be killed with alarming regularity), but for the whodunit fan, this doesn't matter enormously, given that his books are always short and snappy. Of course, the more one gets to know a writer, the more one becomes familiar with the tricks of his or her trade. You can sometimes spot the culprit in Glenn Chandler’s macabre and wonderful early screenplays for Taggart by figuring out which character didn’t really need to be included in the story. Durbridge too relies on tried and tested devices, but on this occasion I fell for the misdirection. And enjoyed the final revelation all the more as a result. 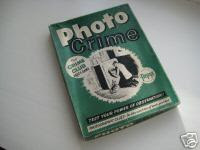 Crime fiction offers much more than just a whodunit game between the writer and the reader, but the game element does appeal to me, and it was an important element in the Golden Age mystery. There are innumerable other mystery board games and card games. Over the years, I’ve picked up quite a few. For the first time in years, we’ve brought out ‘221b Baker Street’ – possibly my favourite, because of the very entertaining and varied mystery puzzles to be solved – and ‘Scotland Yard’, quite a neat chase game. We've also tried out ‘Inspector Morse’, which is a bit like a simpler version of ‘221b’. Some of the older games are interesting curiosities. 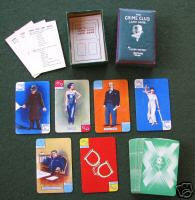 In the past, as now, they were often conceived as some form of commercial spin-off – for example, there were Collins Crime Club and Sexton Blake card games, as well as a Crime Club party game, Photo Crime. In the last twenty years or so, jigsaw puzzles with a mystery element (again sometimes linked to ‘Cluedo’ or Inspector Morse) have enjoyed a vogue. And at the risk of getting stuck in a groove, I’ve been reading a lively thriller called A Game of Murder. More about this shortly. I’ve just finished the Sherlockian pastiche, ‘The Case of the Eccentric Testatrix’. With this story, as sometimes happens, there were moments when I wondered if I’d created a plot that wasn’t right for the particular group of characters I’d dreamed up, but in the end, all was well. One advantage of a short story over a novel is this – if it all goes pear-shaped, at least you haven’t wasted half a year or more on it. But there are many much more positive reasons for enjoying the challenges that writing a short story presents. Practising the short form tends, I think, to sharpen up skill at characterisation. Although characters in short stories don’t have to sustain the same bulk of narrative as those in a novel, they really have to work to justify their inclusion. You can’t waste words in a short story. Everything has to be effective. Another pleasure of writing short stories is the freedom to experiment. My first few short stories featured the Liverpool lawyer Harry Devlin. The most enjoyable of these from my perspective, an early one written around 1993, was called ‘Never Walk Alone’, which centred around Liverpool Football Club. To my amazement, a year or so later, I was appointed as a legal adviser to LFC. It's proved a very interesting role over the years, although the appointment didn't come because of the story, I hasten to add. After a while I tried my hand at other types of short mystery. Long before I published Take My Breath Away, I’d written several stories of psychological suspense – ‘Diminished Responsibility’ is one of my own favourites. I’ve dabbled in historical mysteries – in fact, my Victorian murder mystery event has its origins in a short history-mystery that I wrote some years ago for that late lamented magazine ‘Sherlock’. ‘Melusine’ was a rural mystery that was, indirectly, a precursor to the Lake District books. And a few times I’ve placed a strong emphasis on humour – or, at least, irony. The best-known example of this was ‘Test Drive’ – which was short-listed for a CWA Dagger a couple of years ago. Oddly enough, ‘Test Drive’ was one of the easiest stories to write that I’ve ever produced. All the same, I’m not sure there’s a direct correlation between how easy a piece of fiction is to write and how good it is. Let alone how commercially successful it proves to be. Over the years I’ve enjoyed a vast number of books and films, but from time to time I fret about ‘the ones that have got away’ so far, those well-regarded works that somehow I’ve managed to miss. The list of them is embarrassingly long, so it’s good to fill in one or two of the gaps when I can. Although Lifeboat is not really a crime movie of the kind we associate with Hitchcock, it does feature more than one murder. The characters are neatly differentiated, the acting first rate, and the anti-Nazi propaganda rather subtle. I can’t recall having seen Tallulah Bankhead in any other movie, but I thought her performance witty and memorable. Above all, I liked the fact that, although one assumes that some of the cast will survive their post-shipwreck ordeal, one can’t predict which of them will make it, and what will happen to them along the way. Another triumph for the great director, and a textbook example of how to build suspense. I mentioned a while back that Andrew Gulli, editor of Strand Magazine, had asked me to contribute another Sherlock Holmes pastiche, and after a lot (too much!) of agonising over plot, I’ve finally got cracking with ‘The Case of the Eccentric Testatrix.’ It’s set in 1887, and is based on an episode mentioned by Dr Watson in ‘The Five Orange Pips’. I love the way that Watson makes casual yet tantalising reference to, say, ‘the singular adventure of the Grice Patersons in the island of Uffa’, or ‘the Amateur Mendicant Society, who held a luxurious club in the lower vault of a furniture warehouse’, and it is the latter case that features in my story. An industrious critic once calculated that ‘over 110’ unrecorded cases are mentioned in the Sherlockian Canon, although another complained that meaningful information is provided about only 39 of them. Vivid stuff. Which is one of the reasons why so many writers relish the chance to turn their hands to a Sherlockian pastiche. Internet auctions are almost as addictive as internet gambling, and although I avoid the latter,I confess that I’m hooked on eBay. One of the joys of eBay is that you can stumble across things that you would never encounter in the shops, and it’s a virtual Aladdin’s Cave for people like me who enjoy picking up things that are quirky and a bit out of the ordinary. In the past year or two, thanks to eBay, I’ve come across some unusual games with a detective-related theme, and this is probably an opportune time of year to mention some of the more obscure items. But today, because it’s topical, I’ll mention a book that I’d never heard of before until I came across it on eBay a couple of weeks ago– a signed copy of 12 Days, a collection of stories inspired by ‘the twelve days of Christmas,’ and edited by Shelley Silas. They aren’t all detective stories, but the contributors include a number of good names from our genre – Val McDermid, who I mentioned the other day in connection with our chat about Crippen, Stella Duffy, Lauren Henderson and Jake Arnott. Anthologies with a coherent theme appeal to me and I’m looking forward to reading this one after the festivities are over. …and I’ve started reading a chunky crime novel whose action begins in earnest on Christmas Eve. This is Water Like a Stone by Deborah Crombie. One of the other attractions of the book is that it is set in my native Cheshire, around Nantwich, one of the county’s salt towns (I spent my formative years in Northwich, a few miles away.) Despite the enduring popularity of Cranford, Cheshire has not often been used as a backdrop for works of crime fiction (children’s fiction is a different matter, thanks to Alan Garner), though as I mentioned recently, I've just set a Dickensian short story in Knutsford. It is particularly interesting to see what an American author from Texas makes of an area which is, I think, quintessentially English. Impressions from the first 100 pages are very positive; Crombie has done her research well and has got a real feel for the boating community who spend so much time on the county's various canals. I’ve read and admired several of her books in the past, and applaud her skill at depicting people and places. Her detectives, Duncan Kincaid and Gemma James, are likeable, three-dimensional individuals, and in this story Kincaid returns to his Cheshire roots, to be confronted by the discovery of the mummified remains of an infant. This has echoes of an extraordinary real-life mystery (in Cumbria, not Cheshire) from a year or two back; whether this was the inspiration for Crombie’s book, I don’t know, but it will be fascinating to read on and find out.. But for now, it’s on with the festivities. A very merry Christmas to everyone who reads this blog – and thanks for all the feedback. Much appreciated. I exchanged comments with fellow blogger Maxine Clarke a few weeks back about the late, and in my opinion great, Julian Symons. His study of the genre, Bloody Murder, was published when I was in my teens, and it influenced my choice of reading for many years. It was Symons who made me aware of writers such as C. Daly King, Margot Bennett, Edward Grierson and Cameron McCabe, whose very varied work I found delightful to read. There were some good authors whom he overlooked, but never mind; there is a limit to how much ground can be covered in a single volume. Symons’ basic theme was that the detective story has transformed into the crime novel. Probably that is an over-simplistic analysis – not long after he published the first edition of his book, a writer called Colin Dexter emerged, who proved triumphantly that the classic detective story was very far from dead and gone. Symons could be scathing about the writing of authors whom he described as ‘Humdrums’, and fans of those writers – understandably – have always been a bit miffed about that as a result. But Symons had a very acute intelligence, and he was always open to ‘reasoned contradiction’. He will probably be best remembered as a critic, but in truth his range was astonishing – he was a poet, biographer and social historian, as well as author of some of the best British crime novels of the post-war era. The End of Solomon Grundy, Progress of a Crime, and (a special favourite of mine for its sheer entertainment value)The Man Whose Dreams Came True, were all excellent, and his other novels were never less than interesting. Some of his books focus on social attitudes, but he had read so widely in the genre that his twisty plotting was of a very high quality. The Plot Against Roger Rider is ingenious, and Sweet Adelaide shows his insight into true crime cases. A very late book, Death’s Darkest Face, was among his finest achievements, although sadly, it has never attracted the attention it deserved. 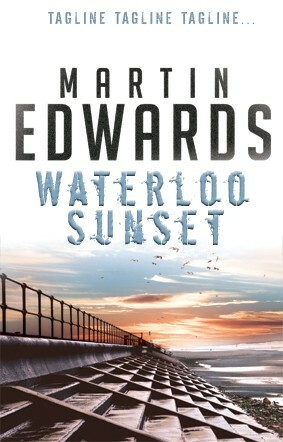 Anyone keen on British crime fiction who is unfamiliar with his work has a real treat in store. I have been commissioned to contribute a number of essays to The Harcourt Encyclopaedia of Crime Fiction, edited by Barry Forshaw (whose Rough Guide to the genre came out earlier this year, and who edits ‘Crime Time’.) Barry and the publishers have agreed that I can release the essays (which I am adapting slightly for the purpose) on my website, and my account of the detective in British fiction has just appeared there. Of course, the toughest challenge in writing an essay on such a broad topic is: what do I leave out? For there is enough material to fill several books. The need to be selective, and to simplify the account of the historical development of the detective character, is a challenge familiar to me from writing books on various legal topics. With legal subjects, I’m always conscious that any mistake would have my professional readers up in arms. When writing about crime fiction, it is the need to make – inevitably subjective - judgments that is sometimes controversial. When one reads some of the criticism of such a gifted and authoritative commentator on the genre as the late Julian Symons, it’s a little daunting. It’s all a question of personal opinion, I guess. Incidentally, I’ll be talking further about Julian shortly. The decline of the serial killer? I don’t know whether the statistics support this thesis, but I share Minette’s interest in the work and writing of David Canter, whom I got to know after his appointment as Professor of Psychology at the University of Liverpool. He won the CWA’s non-fiction Gold Dagger for Criminal Shadows, and his 2003 book Mapping Murder is equally thoughtful. It’s a book about ‘geographical profiling’ and the central thesis is that criminals reveal who they are and where they live, not just from how they commit their crimes, but also from the locations they choose. Never mind if you are inclined to be sceptical about profiling (many people are – I once attended a very witty debunking of profilers at a CWA conference in Durham), it is fascinating read. One thing is for sure, though. Even if serial killers are less common these days in real life, a visit to any bookshop will show that they are as popular as ever with crime writers. And, so far as I can tell, with the majority of crime readers. In its early years, Taggart was my favourite television crime series. Mark McManus was perfectly cast as the gruff, eponymous Glaswegian cop (he’d give you a dirty look if you ever used a word like ‘eponymous’ in his presence, mind) and he was supported by a first rate cast. The series continued under the same name after McManus died, but although it remained a source of sound entertainment, it suffered from what you might call ‘the Reichenbach Falls effect’. Rather like the Sherlock Holmes stories after the great man’s battle with Moriarty, Taggart was never quite as good after a brush with mortality. I still watch it from time to time, but not with the same desperate yearning to find out the solution to a complex and devilish puzzle. Apart from the performances, the early series benefited from sharp and witty scripts, above all those written by the creator of Taggart, Glenn Chandler. Chandler has a wonderfully twisted and macabre imagination and some of his screenplays were quite masterly. He’s published novels, as well as an excellent true crime study, and he’s written other tv shows, but Taggart remains his finest achievement. I’m prompted to this burst of reminiscence by having had the chance to watch again an episode from fifteen years ago, ‘Violent Delights’. Clever and dark, with a chilling climax. McManus is in great form, even though he didn’t live too much longer. Great television. And if you come across them, don't miss 'Death Benefits' and 'Nest of Vipers', two of my all-time favourite episodes. The book was written in 1965, and concerns transplant surgery and the related ethical dilemmas. In many ways, the central themes are even more topical today – in an age where face transplanting has become a reality – than they were forty years ago. But the bleak style of books like The Prisoner here gives way to a zany humour, and the authors duly won a Black Comedy award in their native country. The premise is this. Professor Marek, a gifted but obsessive experimental surgeon, grafts the body of a guillotined criminal, divided into seven parts, on to seven people who have suffered accidents. At first, the surgery appears to have been astonishingly successful. But then things start to go wrong. Very, very wrong. Boileau and Narcejac were extremely clever writers and this book is, itself, a fascinating experiment. For my taste, it is too eccentric to rank with their best work, but it’s still a curiosity I’m glad I tracked down. The interview was for a programme which focuses on forensic investigations in real-life cases. The Crippen story is a historical landmark for several reasons, not least because of the crucial part played by the prosecution’s expert witness, Bernard Spilsbury, whose career was just getting under way when Crippen was tried for his life. Spilsbury was a complex and fascinating character, and his authoritative testimony impressed many a jury – today, a more sceptical view of some of his evidence might prevail. Crippen was found guilty in less than half an hour, following a trial lasting just five days. Val asked at the end if I had ideas about any other true crime case with a historically important forensic aspect for future programmes, and I suggested the Buck Ruxton case. Buck was a Lancaster doctor of the 30s who ended up, like Crippen, on the gallows. To this day, a pub in Lancaster bears his name. When I was approached by the BBC to take part in the series, I didn’t realise that Val would be involved. She and I have known each other for more than fifteen years, having first met in Yorkshire long ago, at a lunch meeting of the Northern Chapter of the Crime Writers’ Association. In fact, we were contemporaries at Oxford in the 70s, but our paths never crossed there. I’ve enjoyed her books over the years, perhaps in particular those featuring Tony Hill. Her occasional stand-alones are also very good. Not too long ago she wrote a novel set in the Lake District and revealed that the germ of the idea came from...a talk a few years back at a Northern Chapter meeting. My telephone interview with Minette Walters last week ranged over a variety of interesting topics. A writer like me can learn a lot from someone like Minette, whose worldwide success is founded on a mastery of craft. One of the most interesting technical aspects of her books is her use of documentary materials within the text. Her very first book, The Ice House, began with a series of newspaper reports about a missing man, and her latest, The Chameleon’s Shadow, follows the pattern she has established over the years. By including in the text internal police memos, emails, witness statements, newspaper clippings and so on, Walters manages not only to convey a great deal of information economically, but also to offer a variety of ‘voices’ to the story-line, a technique which, when well-handled, adds considerable depth. Even such a simple thing as varying fonts and typeface on the page can keep the reader engaged with the story, she argues. She was not the first writer to adopt this approach (Ed McBain was one of the others) but she has developed it into a fine art. She reminded me that she has even used photographs within her books, in The Shape of Snakes. This too is something that has been done before. A very clever example is to be found in The Norwich Victims, by Francis Beeding. The photographs of the principal characters cunningly address an important element of the plot. It’s a very well crafted Golden Age detective story by a writing duo I've mentioned before. They are best known for their thrillers, but it's their whodunits that appeal to me. The House of Dr Edwardes was turned by Hitchcock into that tremendous movie Spellbound, but my favourite of their books is Death Walks in Eastrepps, one of the finest whodunits of the Golden Age. The Francis Beeding books weren’t as strong in characterisation as those of Minette Walters, but the best are well worth seeking out if you like 1930s mysteries. I'm currently in search of some of their more obscure titles. The programming committee for the 2008 Theakston’s Old Peculier Crime Writing Festival at Harrogate next July has just announced the list of those who will be appearing. The big names include Peter Robinson, Robert Crais, Anne Perry, and Tess Gerritsen. And I’m pleased to say that my name appears on the roster too - for the very first time. It won’t, though, be the first time that I’ve had some involvement with the Harrogate Festival, though. Last year I hosted a group of visiting American crime fans, and the year before, The Coffin Trail reached the final short-list of six for the Theakston’s prize for best crime novel of 2006. That was a memorable evening – up on the stage with the likes of Ian Rankin. Val McDermid was the eventual winner and I met for the first time another short-listed writer, Lindsay Ashford, who writes an enjoyable series set in mid-Wales. I have plenty of fond memories of the Festival and I’m much looking forward to July. I think it’s possible for any writer to learn a lot from some of the discussions at a crime festival. It’s good to catch up with friends, and there’s a chance to meet readers whose knowledge of the genre is as impressive as their enthusiasm for it. In 2008, there’s a bonus for British-based crime fans, in that Bristol will host CrimeFest in June. This is a new bi-annual event, established by the people who organised the very successful Left Coast Crime last year. I’m also hoping to attend Bouchercon in Baltimore next October, together with – possibly – Malice Domestic in Washington in the spring. Both events combine the opportunity to meet people with a common interest with scope for sight-seeing in a fascinating city. The only snag at the moment, therefore, is figuring out when I will find time to write the next Lake District Mystery…..
You shouldn’t judge a book by its title, but I still think that titles matter and I devote a lot of thought to picking the right title for my books. Probably The Devil in Disguise and The Arsenic Labyrinth are personal favourites, but I’m also pleased with Waterloo Sunset. The Harry Devlin series took its titles from 60s pop songs; the Lake District titles to date have linked in with the natural landscape. I’ve usually found that I just know when I’ve hit the right note with the title. The moment I came across the phrase ‘the arsenic labyrinth’ – quite out of the blue – I realised that it was perfect for the book I was writing, set in the rugged landscape above Coniston Water. When it comes to other writers’ titles, I have a weakness for humour. I love Subpoena Colada by Mark Dawson, and I Still Miss My Man, But My Aim is Getting Better by Sarah Shankman runs it a close second. One difficulty when picking a title for a Lake District Mystery is that all the obvious ones have been taken – sometimes more than once, sometimes for truly memorable novels. So I won’t be using Still Waters or Hidden Depths. Or The Lady in the Lake, come to that. The first Lake District Mystery originally had a different title. But it had been used before, for a book published thirty years earlier. I spoke to the writer of that book and she wasn’t happy with my using the same title. Of course, there is no copyright in a title, and I wasn’t sure the objections was entirely reasonable, but she is a pleasant person, and I certainly didn’t want to upset her - and so I came up with The Coffin Trail. I’ve just watched a Channel 4 documentary about one of the most famous of all unsolved crimes, the killing of Sir Harry Oakes. Erle Stanley Gardner, creator of Perry Mason, called it the greatest murder mystery of all time. A touch of hyperbole there, I think, but it’s certainly a classic puzzle. Oakes was a very wealthy man (a billionaire, by today’s reckoning) who lived in the Bahamas and was found dead in his Nassau beachfront home on 7 July 1943. His body had been battered, set on fire, and – a bizarre touch worthy of a novel – covered in tiny white feathers. The Duke of Windsor was the Governor of the Bahamas at the time; probably his appointment was a neat way of preventing him embarrassing the Royal Family at close quarters, not least as a result of his track record of enthusiasm for Adolf Hitler. He knew Oakes quite well, and as if a royal connection was not enough, there was a hint of Mafia involvement. In the end, Oakes’ son-in-law, Count Alfred de Marigny, was charged with the murder. De Marigny was an almost stereotypical lounge lizard, and when it emerged that he had been burned (after setting fire to Oakes’ room?) and apparently left his fingerprint in the corpse’s vicinity, prospects of an acquittal didn’t look good. But he was capably defended, and found not guilty. His marriage to Oakes’ daughter failed, but he lived quietly on until 1998 (he’d settled in Texas with his fourth wife), occupying himself with bridge and tennis. The tv programme was based on James Owen’s valuable book about the case, A Serpent in Eden. Like the book, the programme presented a fascinating picture of a seemingly glamorous society with a rottenness at its heart. Shades of White Mischief. Alan Hunter, whom I mentioned recently in connection with the George Gently tv series, was clearly influenced as a writer by Georges Simenon. However, a crime novelist who emerged a decade or so after Hunter, in the mid-60s, has to my mind an even stronger claim to be regarded as the most gifted English disciple of the Belgian master. W.J. Burley was never a household name. His books about Superintendent Wycliffe might already have faded into obscurity had it not been for a competent tv series featuring that excellent actor Jack Shepherd as Wycliffe. When he died, in his 80s, and at a time when thanks to the telly his sales were higher than ever, Burley’s passing was scarcely noted in the wider world. He was a man who shied away from publicity and was happiest in his native Cornwall, a county he wrote about with love and clarity. A couple of years back I contributed an appreciation of Burley to an official website set up in his honour by Mario de Pace. With Mario’s help, I picked up a few of Burley’s non-series books, and I’ve even tracked down his rather rare solitary excursion into sci-fi, The Sixth Day. Although Burley wrote in popular genres, his work is quiet and generally eschews melodrama, but he excelled at the evocation of place and mood. He may not belong in the Premier League of crime writers, but his was a career of solid and lasting achievement. I discovered not so long ago a remote family connection to someone from an earlier generation who had an interest in the crime genre. Edward Shanks (1892-1953) was my late father-in-law’s cousin (told you it was remote) and he was best known as a poet and critic, but on occasion he strayed into our territory. Shanks’ novels include Old King Cole (1936), which was re-titled The Green Circle in the US. It’s an unusual, almost eccentric piece of work about dark doings in a mysterious English village - shades of Port Meirion and ‘The Prisoner’. Intriguing and eerie, but I felt the quality of the writing deserved a more powerful story-line. In recent times, Poe’s remarkable life has inspired increasing interest – most notably, perhaps, with Andrew Taylor’s breakout novel, The American Boy. His biographer Shanks is, however, all but forgotten. When I wrote about music for crime films recently, I didn’t mention Bernard Hermann. This was quite an omission, as watching Twisted Nerve reminded me. The eerie theme from that film was used by Tarantino in Kill Bill (a film I haven't seen), and Hermann’s music crops up in many hugely popular movies. Most people associate Hermann with Alfred Hitchcock, and there’s no doubt that Herrmann’s characteristically ominous music contributed significantly to the suspense that Hitch loved to create. Hermann scored Psycho (including the screechy accompaniment to the famous shower scene) and the marvellous North by North West, but to my mind the music from Vertigo is at least as good. His other work was varied – he wrote the music for Citizen Kane, Fahrenheit 451 and Jason and the Argonauts – but included some excellent work for crime movies such as Obsession, The Bride Wore Black, and Taxi Driver. And it’s said that his work was an inspiration for the use of violins in the Beatles’ ‘Eleanor Rigby’, the song which gave me the title for my very first novel, All the Lonely People. I’ve talked to Minette Walters, as part of my preparation for an article about her which will appear in a forthcoming issue of ‘Mystery Scene’ (a great US magazine for crime fans, if you don’t know it.) We’ve never met, but I’ve followed her career with admiration since she published her first novel the year after I published my first. Mind you, in the intervening years, she’s sold many more books and won many more awards than me. Her UK publishers describe her as ‘England’s bestselling female crime writer’, and if that’s correct, it’s quite something – she must be outselling not only Christie, but also Ruth Rendell and P.D. James. Minette Walters’ gifts are demonstrated in books such as The Sculptress, which is one of my all-time favourites. And I’m enjoying her latest, The Chameleon’s Shadow, the US publication of which prompted Kate Stine of ‘Mystery Scene’ to commission the article. Among the things that I discovered about Minette are that she’s very knowledgeable about true crime; the writers in this field whom she admires include Brian Masters and David Canter. And she has a lot of time for Dame Agatha, especially later books such as The Pale Horse and Endless Night. More will be revealed when the article sees the light of day in the New Year. I came to The Prestige expecting another crime thriller from director Christopher Nolan, whose credits include the excellent Insomnia, which saw Al Pacino sleepless in Alaska. Had I realised that the source material was a novel by Christopher Priest, who won the World Fantasy Award for it, I might have been better prepared for some of the unexpected twists and turns. To say that the plot is complex is no under-statement, but of course a fan of elaborate mysteries can hardly complain about that, and I certainly enjoyed the film – and the clever use made of some devices from traditional detective fiction, although for different purposes. It’s a movie that benefits greatly from a high calibre cast – Christopher Bale, Hugh Jackman, Michael Caine, Scarlet Johansson, and David Bowie. There are three main story-lines, but in essence it’s a tale of obsessive rivalry between two magicians, and of the dark consequences of their enmity. Classically, detective stories were wholly rational pieces of work. Explanations that depended on the supernatural were strictly taboo. Yet magic has long fascinated detective writers – especially creators of locked room ‘miracle’ problems, such as John Dickson Carr, and Clayton Rawson, whose series detective was a magician, the Great Merlini. Rawson wasn't as prolific as Carr, but he was almost as ingenious. More recently, David Renwick made Jonathan Creek a creator of illusions in the brilliant, and much-missed tv series named after him. The Prestige may not be a crime movie in the orthodox sense, but it’s bound to appeal to many crime fans. And if the plot’s elaborations are a tad confusing on a first viewing, there’s a rather good entry in Wikipedia which sheds light on them. Today was the annual Dickensian Day celebration in my home village of Lymm and a rain-soaked event it proved to be. But very enjoyable all the same and our guests included fellow crime writer Kate Ellis, along with her husband Roger. Kate, like me, is a huge admirer of Charles Dickens, and has contributed a story to Mike Ashley's new anthology, The Mammoth Book of Dickensian Whodunits; hers is called 'The Divine Nature', and it features malevolent Mr Murdstone from David Copperfield. Kate's another enthusiast for short stories, and I've had the pleasure of including some excellent contributions from her in anthologies I've edited over the years. 'Les Inconnus', which appeared in Crime in the City, was short-listed for the CWA Short Story Dagger, as was my personal favourite of her shorter works, 'Top Deck', from Crime on the Move. Kate is, like me, a great fan of the Taggart tv series, especially the early episodes featuring Mark McManus as the eponymous cop. Her own titles are, I think, among the best around; examples include The Plague Maiden, The Skeleton Room and The Marriage Hearse. And The Bone Garden is such a good title that now Tess Gerritsen has used it as well. Gilbert Adair is a novelist and writer of screenplays whose writing I’ve come across from time to time over the years and always found interesting and intelligent. I enjoyed his novel A Closed Book, and, although I haven’t read it, I very much like the title of another of his offerings, The Postmodernist Always Rings Twice. I wish I’d thought of that one. Lately, he’s turned his attention to classic Golden Age detective fiction. The Act of Roger Murgatroyd introduces Evadne Mount, as crime writer as outspoken as Dame Agatha was modest, and Adair has followed it up with A Mysterious Affair of Style (another nice title,) in which Evadne returns. I’ve just finished Murgatroyd and I enjoyed it much more than I anticipated. I wondered if Adair would patronise those classic writers whom I have enjoyed so much, but although this is a fun book, with plenty of sly jokes (and not just limited to poking fun at Golden Age fiction, either), Adair does a very good job at constructing that most artificial of stories, a locked room mystery. The central plot device is neat, and the dialogue throughout is light and agreeable. You don’t need to love Dame Agatha to enjoy this novel. But, contrary to expectation, it probably helps. I’ve watched Twisted Nerve again, for the first time since I was a student about thirty years ago. It’s a disturbing film, in more ways than one. It dates back to 1968, but even then the weird suggestion of a link between Down’s Syndrome and sinister derangement raised many hackles. And the portrayal of racism, although probably designed to expose prejudice rather than to exploit it, is uncomfortable. Yet, if these elements can be put to one side for a moment, as an example of the sub-Hitchcock psycho-thriller, the film remains quite gripping. The scientific premise may be wildly off-beam, but the script by Roger Marshall (whose television credits include episodes of ‘The Avengers’, ‘Public Eye’ and ‘Lovejoy’), and above all the quality of the acting. ensure that, whatever the flaws, it isn’t impossible to suspend disbelief for a while. The cast is excellent. Hywel Bennett is truly creepy as the troubled Martin Durnley, Billie Whitelaw smoulders as mother of the gorgeous Hayley Mills, whom Bennett pursues with cunning and relentlessness, while Barry Foster (later to earn fame as Van der Valk) is terrific as Whitelaw’s randy and bigoted lover. Timothy West makes the most a small role as a detective, and Frank Finlay, as usual, is a formidable screen presence – at least until Bennett kills him. Something else about the film is notable – the eerie music. The theme was later used by Tarantino, I believe, in Kill Bill, and was written by the legendary Bernard Hermann. More about Hermann shortly. The 1935 Rattenbury-Stoner murder case caused a sensation in its day. The facts were reminiscent of the even more famous Thompson-Bywaters case of 1922 (which inspired F Tennyson Jesse's classic novel, A Pin to See the Peep-Show): a young wife tires of her husband and takes a lover, a relationship which leads to the murder of the husband. I was reminded of the case last week by a genuinely moving, and thought-provoking, article in ‘The Times’ about John, the son of Francis and Alma Rattenbury. Alma committed suicide after the murder, but although her lover was sentenced to hang, he won a reprieve. John, a young child at the time of the killing, grew up to be a successful architect who worked with Frank Lloyd Wright. The article, by journalist York Membery, reveals that the tragedy gave its innocent young victim ‘an understanding from a very early age of other people’s pain and sorrow.’ The late Sir David Napley, a renowned solicitor in his day, wrote a book suggesting that Alma herself killed Francis, while high on drugs, but John will have none of it. The article coincides with the revival of Terence Rattigan’s play based on the case, Cause Celebre. Interestingly, the case also inspired two other plays, by John van Druten and Simon Gray. I gleaned this information from a wonderful, though relatively little known, book by Steve Haste. Called Criminal Sentences, it examines renderings of true crime cases in fiction and drama and is full of intriguing details. The programme focused on examining the secrets of the extraordinary gardens at Port Meirion, in Wales, one of my favourite places in the world. For those of you who have not visited it, I urge you to go. It’s unlike anywhere else, a pastiche Italian village on the edge of a Welsh estuary. Famously, Port Meirion provided the setting for that cult sixties tv series, ‘The Prisoner’, starring Patrick McGoohan as an enigmatic spy who is kidnapped and finds himself trapped in a gorgeous but weird ‘village’ from which there is no escape. McGoohan had formerly starred in ‘Danger Man’, a more orthodox thriller serial, which I much enjoyed as a boy, and I remember the bewilderment that ‘The Prisoner’ inspired nationwide when it was first screened. Now, checking out the boxed set of DVDs, it is apparent that the concept was by no means clearly thought out. But ‘The Prisoner’ remains elusive and oddly appealing to this day. Rather like Port Meirion itself. Like so many people, I first read the Sherlock Holmes stories in my youth, and I’ve remained an admirer ever since. I don’t belong to any of those societies whose members dress up in Holmesian guise and make pilgrimages to places like the Reichenbach Falls, but I’ve come across a number of people who thoroughly enjoy doing so, and it’s a testament to the enduring quality of the stories, and of the character of Holmes, that he retains such popularity to this day. Over the years, I’ve published a handful of Sherlockian pastiches. The anthologist Mike Ashley started me down this road, commissioning a story called ‘The Case of the Suicidal Lawyer’ (yep, I was in gloomily ironic mood when I thought that title up) for The Mammoth Book of New Sherlock Holmes Adventures, and later tales have appeared in the late lamented magazine ‘Sherlock’, edited by David Stuart Davies, and ‘The Strand Magazine’, edited by Andrew Gulli. I’m currently toying with ideas for a new story for the latter. There’s something rather pleasant about trying to capture the voice of Dr Watson, and it’s entertaining to invent further apocryphal cases for the great man to add to the likes of the Giant Rat of Sumatra, a story for which the world still may not be adequately prepared. Mysteries with a historical background were written long before the 1970s, but the popularity of this branch of the genre really took off in that decade, thanks in the main to the success of Peter Lovesey’s books about Sergeant Cribb and Ellis Peters’ about Brother Cadfael. In recent years, the complexities of forensic science have led many authors who in the past would have written about contemporary amateur detectives to conjure up historical sleuths, who don’t have to worry about DNA and all that. I’ve tried my hand at a number of short stories with a historical background, often as a result of commissions from anthologists. They are fun to write, and although I don’t have any plans to write a series of novels with a historical background, I might resurrect Benjamin Jowett, renowned Master of Balliol College, for another outing one of these days. He featured in my solitary (so far) tale set in Oxford, ‘The Mind of the Master’, which I think has been my most successful effort at the historical mystery to date. Meanwhile, Faber, publishers of distinction, are carving themselves something of a niche with historical detective fiction. Their latest offering to show up on the radar is A Vengeful Longing, due to be published next February. It’s a sequel to A Gentle Axe, which I must admit passed me by, and it features Porfiry from Crime and Punishment – a neat idea. For me – perhaps the same is true for many authors – a recently completed manuscript takes a giant step towards becoming a book that will take its place in the real world, outside my head, the first time I see the dust jacket artwork. 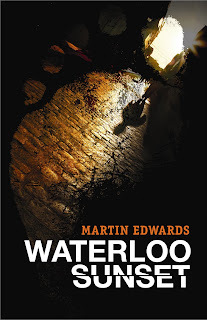 Waterloo Sunset is the first Harry Devlin novel to be published at around the same time in both the UK and US, and I’ve received proposals for the artwork from both Allison & Busby, here, and Poisoned Pen Press. Here they are. It’s fascinating to me to see the different images conjured up by the same manuscript. I’m also turning my mind to publicity events. One of the most enjoyable ways of socialising with both readers and fellow writers, and yet being able to pretend to oneself that one is marketing a new book in a business-like way, is to attend crime conventions. In the UK, 2008 offers both Crimefest in June and the excellent Harrogate Festival in July. As for the States, I’m currently wondering whether I can manage both Malice Domestic, in Washington, in the spring, and the Baltimore Bouchercon in October. I gather that Baltimore has a few things in common with Liverpool, setting of Waterloo Sunset, so a trip there is certainly tempting.